Members of the royal family should be "above politics" and therefore can not "hold any political office", the commission said in a statement, echoing the wording of a public statement from the king on Friday. 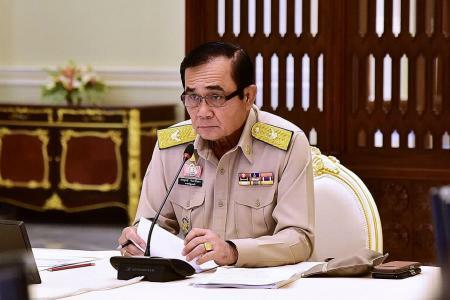 Among the candidates for prime minister is the current junta leader Prayuth Chan-ocha, who as army chief led the coup. The royal announcement added: "Bringing a high-ranking member of the royal family to politics, in whatever manner, is an act in violation of the royal tradition and national culture and highly inappropriate". The party said it would accept the king's message and "move forward into the election arena to solve problems for the country".